Backup iPhone to computer seems to be a very simple issue. The user only needs to plug their iPhone into computer and launch iTunes, then hit “Back Up” in the File option to kick off the backup process. Or they only need to get Wi-Fi, and connect iPhone to charger with the screen closed, then the iPhone data will be uploaded to the cloud. Both ways are easy to be done, and have their own unique advantages. As a matter of fact, iPhone backup issues occasionally come up along the iPhone users, and different problems may have different solutions. So let’s take a look at the solutions of how to backup iPhone to computer in the following post. iPhone backup, in iTunes or iCloud, will provide a safe copy of the important data in our iPhone, and help us to get the lost files back. Backup iPhone in case that the device get lost or stolen. Before updating to newer iOS, you will need to backup iPhone. Water damage or other physical damages will lead to permanent data loss, so you'd better backup iPhone before it happens. Before jailbreaking your iPhone, you will want to back up the data from your iPhone to computer to keep them safe. Switching to a new iPhone is great, but don’t forget to back up the old iPhone so that you can move the data to new iPhone easily. iTunes and iCloud backups are both helpful for backing up users’ iPhone, but which one should be chosen? In fact, iTunes and iCloud backup both have their own unique characteristics which can’t be replaced by the other. Either way is useful when you want to backup iPhone. But as you may see, iPhone users should worry about the sync of iTunes, and the storage of iCloud is limited. So these can be the main reasons why some iPhone users don’t want to use them. Voila, you have got most of your important backed up in your computer or the cloud. When we want to backup music files, apps and other files which can’t be saved in the backups, we’ll need the help of the third-party iPhone backup software. 1. How to Restore Backup with iTunes & iCloud? After backing up iPhone with iTunes or iCloud, users can restore their device easily. If you are going to restore your iPhone with iTunes, you only need to plug iPhone into computer via the USB cable, and then choose “Restore Backup” in the summary panel of iTunes. If you want to restore iPhone with iCloud backup, you should connect to Wi-Fi and tap Settings > iCloud > Restore Backup on your iPhone. Note that iTunes and iCloud will ask you to erase all the contents and settings before the restoring process starts. 2. Can We View the Contents in iPhone Backup? When we want to view iPhone backup contents on our computer, we’ll need to make it clear that the contents in iCloud backup can be viewed in iCloud.com on our computer, but we aren’t allowed to view the contents in iTunes backup on computer. But we are able to get access to the location of the iTunes backup on our computer. 3. How to Make More Than one iPhone Backup in iTunes? 1. Open Computer, and go to C:\Users\Username\AppData\Roaming\Apple Computer\MobileSync\Backup\, and double-click to open the folder. You will see folder(s) named with numbers and letters. Identify your iPhone backup with the time beside the name of the folder. 2. Copy and paste the iPhone backup folder, and rename the folder. It is a good idea if you want to name the backup after the date you create this backup. 3. Double-click the new iPhone backup folder, and find the “info.plist” file. Open it with your Notepad, and locate a “Yourname’s iPhone” line at the bottom. Then change the name with date attacted. 4. Save the file, and there you go. You have made a copy of your iPhone backup now. Next time when you want to restore your iPhone, you will see this backup in iTunes. 4. How to Delete Backups in iTunes? 1. Start iTunes and go to “Edit > Preferences > Devices”, and you will see the backups you created in the window below. 2. Move your mouse to the iPhone backup, and you will get the phone number and the IMEI number of the iPhone so that you can identify whether the backup is the one you need. 3. Select the iPhone backup and click “Delete Backup” at the right bottom. Then iTunes will start deleting iPhone backup from iTunes. If you are using a Mac computer, you should click “iTunes > Preferences” When you want to delete iPhone backup. 5. How to Reduce the Size of iTunes/iCloud Backup? If you are using iCloud to backup iPhone, you will be able to manage the size of the backup by tapping Settings > iCloud > Storage > Manage Storage (If you are using iOS 7 or earlier, tap Storage & Backup) on your iPhone. On you Mac computer, you can go to Apple Menu > System Preferences, click iCloud then click Manage. On your Windows 7 computer, you can choose Start Menu > All Programs > iCloud > iCloud, then click Manage. If you are using Windows 8 or Windows 8.1 computer, you should go to the Start Screen and choose iCloud then click Manage. If you are using iTunes to backup iPhone, you will find it impossible to manage the data in your iPhone backup on computer as the contents in the backup aren’t viewable. So the only way to reduce the iPhone backup in iTunes is to delete the unwanted photos, videos and so on before backing up your iPhone. 6. How to Change the Location of iTunes Backup? 1. Create a new folder on your computer named Backup. 2. Create a symbolic link to the new backup folder. You need to hit Windows + R and enter cmd in the Command dialog. Then type the following code: mlink /J “%APPDATA%\Apple Computer\MobileSync\Backup” “D:\Backup”. If you create a new backup folder in other location, you need to type the right location of the new iPhone backup folder. 7. How to Restore Old iPhone Backup to New iPhone? 1. Start iTunes and go to “Edit > Preferences > Devices”, and check “Prevent iPods, iPhones and iPads from syncing automatically”. 2. Plug old iPhone into computer and click “File > Devices > Back Up” at the upper left corner after iTunes recognize your iPhone. 3. After iTunes backing up your iPhone, unplug the iPhone and connect your new iPhone to computer with the USB cable. Then click “Restore from Backup” in the summary panel. After restoring your new iPhone with the old backup, your new iPhone will restart and you will get the backup contents in your new iPhone. But still, many iPhone users don’t want to restore new iPhone with the old backup, because the old backup can be large and include many outdated data and unwanted apps. So it’s up to you whether you are going to restore the new iPhone with the old backup. Of course, sometimes we’ll have to erase all the contents and settings in our iPhone to get rid of the unwanted files once and for all. If you want to set up your iPhone as a new one, you only need to tap Settings > General > Reset > Erase All Contents and Settings on your iPhone. This will delete the phone settings, photos and other media files on your iPhone. People can find various kinds of iPhone backup programs on the Internet now, and they will be helpful when you want to backup iPhone without using iTunes, or want to view the files after backing up your iPhone. The following post introduces 10 iPhone backup software to all users. LeawoiTransfer is one multifunctional iPhone transfer software developed by Leawo Software Co., Ltd. 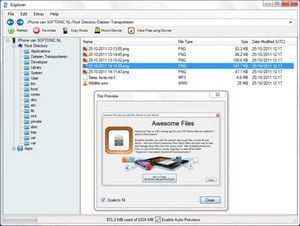 The software is used for transferring files among iOS devices, iTunes and computers without the sync of iTunes, and both Windows and Mac versions are available for free download. 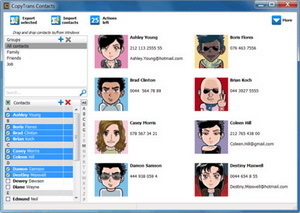 The simplified user interface of this software enables users to handle it within seconds. The software allows users to backup various kinds of iPhone data to computer, including apps, music, movies, TV shows, ebooks, ringtones, photos, Camera Roll and contacts. 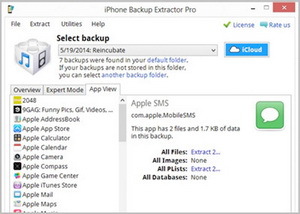 iPhone Backup Extractor is helpful for extracting data from iPhone backups to computer in viewable files, and both Windows and Mac versions are available. The software loads multiple backups for the users to extract data, and it allows users to choose specific kind of data to extract. If you have an encrypted backup, the software will also allow you to extract files if you have the password. CopyTrans Contacts is a Windows-only program for people to back up their iPhone contacts, text messages and other personal data in your iPhone. With this program, you are able to export the iPhone contacts to your computer in viewable files, and you can import those contacts to your iPhone again with ease. iPhone Backup Utility is a Windows-only iPhone backup software, and it enables users to back up files from jailbroken iPhone to computer. The free version of the software enables users to backup Address Book, wallpapers and so on; the paid version allows users to backup SMS, photos and so on. With this software, the users of a jailbroken iPhone can backup their iphone easily. Aiseesoftware iPhone 4S to Computer Transfer works with Windows computer, and it helps users to transfer various kinds of files from iPhone 4S to computer. The software makes it simple to back up iPhone SMS and contacts to computer, and it also allows users to transfer music, movies and so on. iPranks Backup Utility is a Windows program for the users to backup iPhone data to computer. 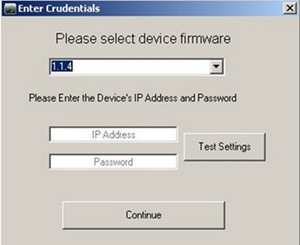 Once installed the software on computer, it provides a straightforward main interface for the users to enter the IP of the software and password if the users are first time to use the software. Then users backup their iPhone data to computer. 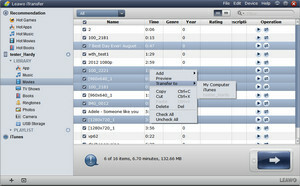 iExplorer is a good iPhone backup program for managing most of the data in their iPhone, and this program allows users to backup contacts, SMS and other files which iTunes doesn’t allow users to export to computer. It also allows users to back up music from iPhone to iTunes library directly. Backuptrans iPhone WhatsApp to Android Transfer is a helpful iPhone transfer software that enables users to transfer WhatsApp chat history from iPhone to Android phone easily. This software is a freeware for Windows users, and it supports all the popular Android smartphone in the market. If you are a WhatsApp user, this program will be helpful for you. 4Media iPhone Transfer is used for transferring media files from iPhone to computer, and it helps users to transfer music, videos and so on. Windows and Mac versions are both available for the users to backup iPhone data. This is a shareware, and it provides trial version for the users to have a try. Amacsoft iPhone to PC Transfer is the Windows version of this program, and it enables users to transfer music, photos and so on from iPhone to computer easily. The Mac version of this software is called Amacsoft iPhone to Mac Transfer, and it provides same features like the Windows version. The program will help users to backup iPhone media files to computer easily. 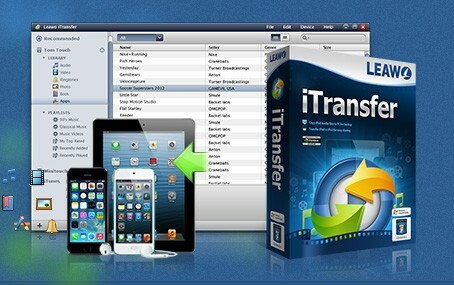 Recommended: Leawo iTransfer is an all-in-one iPhone transfer program with an easy-to-use interface. 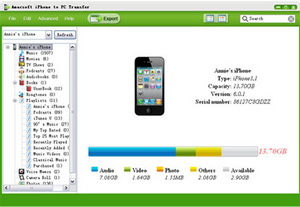 With this iPhone backup/transfer software, users are able to get rid of the sync of iTunes. • Backup iPhone files to computer in viewable files within seconds. • Transfer iPhone files without the sync of iTunes. • Fully compatible with iPhone 3GS or later. • Fully support the latest version of iTunes. • Transfer Apps, media files, Camera Roll and contacts easily. • Make iPhone as a flash drive.